A study by the Natural Resources Defense Council (NRDC) has found that 13 states in the US are likely to experience surges in air pollution in the coming decades, raising serious concerns about climate change health risks. Climate change will increase smog and cause plants to produce more pollen, increasing allergy and respiratory problems such as asthma, especially in children and the elderly people. This highlights the need for having an adequate medical travel insurance that covers medical expenses incurred due to illness while travelling to the US, particularly for people with allergies and asthma. 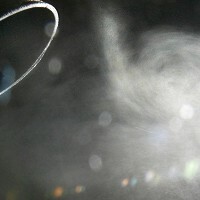 According to the NRDC report, the states under the threat of high levels of ozone smog and associated health issues include some north-eastern states, Connecticut, Washington DC, Texas and California. Kim Knowlton, senior scientist in the NRDC's health and environment programme and assistant clinical professor of environmental sciences at Columbia University, said: "Climate change is one of the most serious public health threats of the 21st Century." He warned saying: "It's time we started connecting the dots between climate change and our health."